An entrepreneur, angel investor and business advisor for early-stage technology companies in Asia. 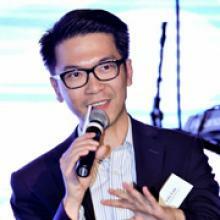 Felix is currently the Executive Board Member for TiE Hong Kong, a member of the Hong Kong Business Angel Network (HKBAN) and the chairman for The Hong Kong ICT Startup Awards 2014 - Business Market Steam. Felix also serves as a mentor and vetting committee member for The Hong Kong Polytechnic University Micro Fund Scheme and StartMeUp Venture Programme initiated by Invest Hong Kong. Prior to that, he held engineering, sales & marketing positions for Alcatel-Lucent, Hewlett-Packard and Nortel Networks in the Asia Pacific region. He holds a Bachelor in Electrical Engineering (First Class Honours) and Master of Engineering Science in Telecommunications from the University of New South Wales. Felix was awarded the Australian Students Prize in 1990.